The races that are too close to call. Did San Diego finally flip blue? And … are you ready for another election? The mayor is. We usually gather a couple people to talk about the elections results and this week, we brought in some new faces. Dwayne Crenshaw, CEO of RISE San Diego, joined us as did Republican fundraiser, Ashley Hayek, who runs Golden State Consultants. 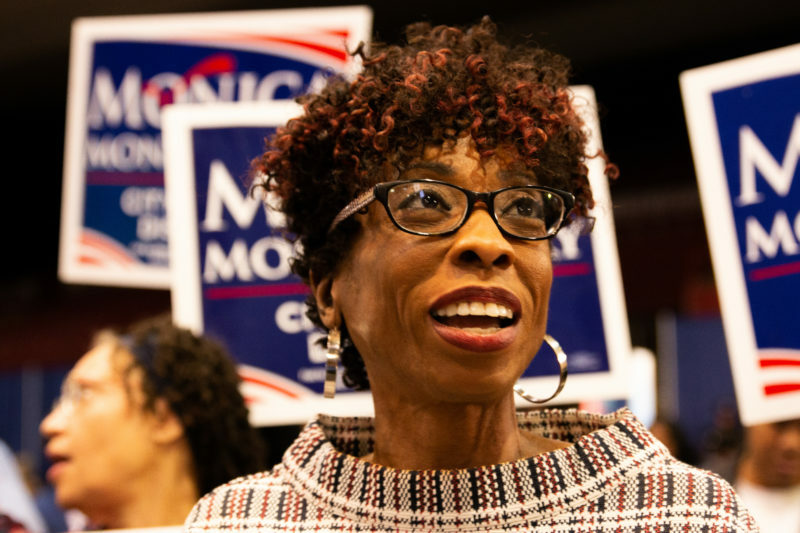 Monica Montgomery knocked off Council President Myrtle Cole without any institutional support. Mostly. On Election Night, she delivered a victory speech at the party for local Democrats and made that clear. The organized labor groups most active in city politics – the San Diego-Imperial Counties Labor Council, the San Diego Building and Construction Trades, and the Working Families Council – all endorsed Cole. The United Domestic Workers and Unite Here, the hotel workers union, went further and dropped attack mailers against Montgomery. But Montgomery did have some labor support. She got the endorsement from Service Employees International Union 221, the largest union of county workers. Last year, that union took a different tack in its contract negotiations with the county. In what it calls “common good bargaining,” it brought civil rights organizations and community groups to the negotiating table as well, broadening its demands to include policy changes that didn’t directly relate to the union’s wages, benefits and working conditions. Montgomery represented the ACLU in those negotiations. One of the arguments in favor of that approach is that it aligns labor groups with their would-be allies on the left. “It is our hope that the same perspective Montgomery brought to common good bargaining, she’ll bring to the City Council,” said David Lagstein, political director for SEIU 221. From Scott (adapted from a Twitter thread): When the investors behind SoccerCity first began talking about their idea, they came to visit Voice of San Diego staff. I personally like soccer and think having a soccer team would be great. I used to write columns fantasizing about how to pay for one. But the very first thing I thought about their plan was: “Well, they must have SDSU on board if they were even coming to us. Because that would be ridiculous not to.” They acted like that was coming along. In March 2017, I wrote this. I outlined the exact way the project was going to die if they stayed on course to challenge all the diverse interests they were taking on. I think it holds up! But I’m not doing an I told you so. I mean, I guess I am. But that’s not the point. The point was, they did what I see way too often around here. They didn’t accept any weakness. They couldn’t acknowledge a shortcoming properly. And so they soldiered on until they had completely lost SDSU, lost unions, lost City Council supporters, lost the Lincoln Club. Lost everybody. Now, they would point out they made powerful enemies early who worked to shut them down. Yeah, that’s true. But there was nothing illegal or unfair about what happened to them. There were some misleading attacks but on a spectrum of misinformation in campaigns, it was not bad. The complexity of the plans was overwhelming and confusion itself was devastating. 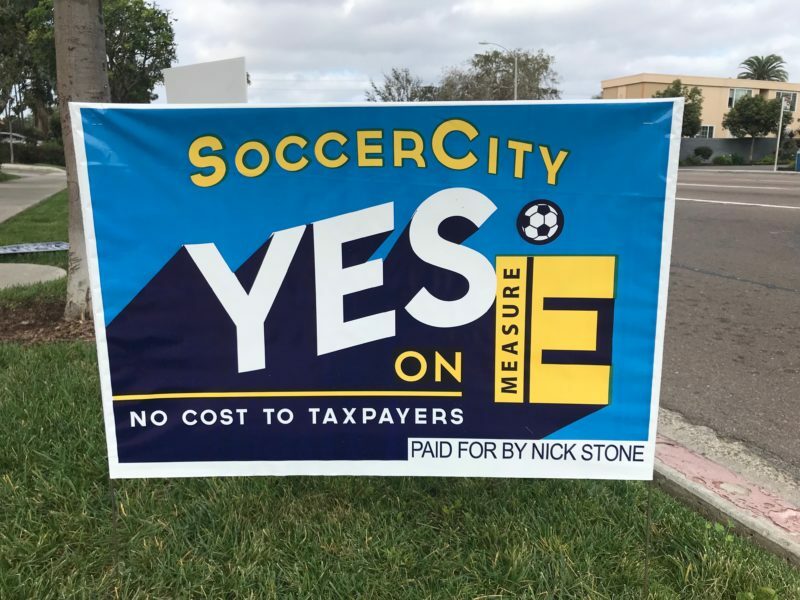 And I wasn’t kidding the other day when I said SDSU and Measure G supporters really do have SoccerCity to thank for forcing the university to get its plan together. Measure G wouldn’t have happened without SoccerCity. Anyway, San Diego needs to get to be the kind of city where leaders listen when others thoughtfully try to offer criticisms and concern about their direction. You can attack them for what you think that does to your reputation. Or you can try to be with it. I know it’s not easy. I don’t believe in the idea that some people have “thick skin.” I think most everyone in public life feels the sting of criticism. The ego worry, shame, and nausea that comes with it. I certainly do. You can either run from it, lash out about it or just sit there and live with it. And sometimes, you can actually consider it. Put it in your files as a potential lesson. The complaint as a request — a bug report. Because really, if we figure out good ways to constructively pass along feedback, information and worst-case scenarios (even if it hurts! ), we can help projects and ideas improve and overcome hurdles. Stuff gets better. In coming months, there will be many moments when SDSU may be off track or misleading. Sometimes the criticism will be garbage or just wrong. Sometimes it will just sting. They’ll have the choice to lash out about it, or sit with it and sift through it for actual insights. But that goes for all of us. I really believe cultivating a culture of thoughtful, if fierce, and sometimes harsh, debate has the chance to produce better outcomes than what we’re seeing. This week was Gene Cubbison’s last on NBC 7 San Diego. He’s retiring. NBC did a nice tribute to him here. Because of our partnership, we worked closely with Cubbison for many years. 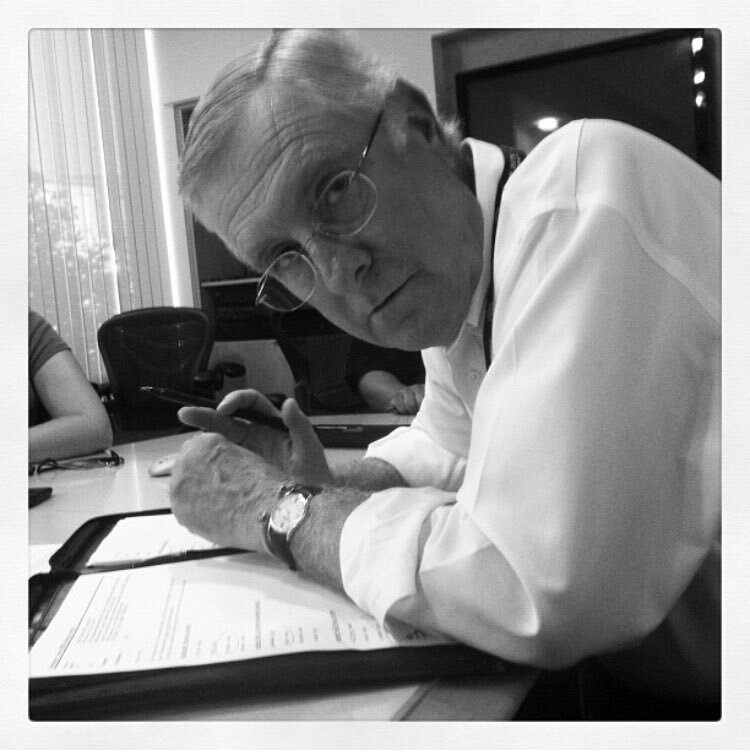 He’s the dean of political reporting in San Diego and his deep, gravely voice will be missed. Luckily he’s not going far and I’m sure he’ll pop in the studio from time to time. Here’s Cubbison during preparations with Scott and Catherine Garcia for a 2012 mayoral debate. 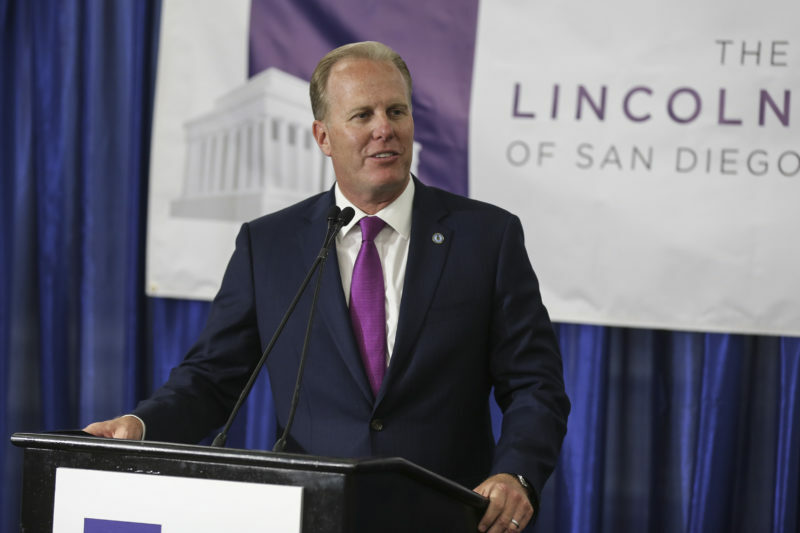 Mayor wants an election: Aimee Faucett, chief of staff for Mayor Kevin Faulconer, said the mayor’s team plans to soon sit down with the coalition behind a proposed hotel-tax increase to expand the Convention Center plus fund homeless services and road repairs to discuss whether they should press forward with a spring special election or wait until 2020. 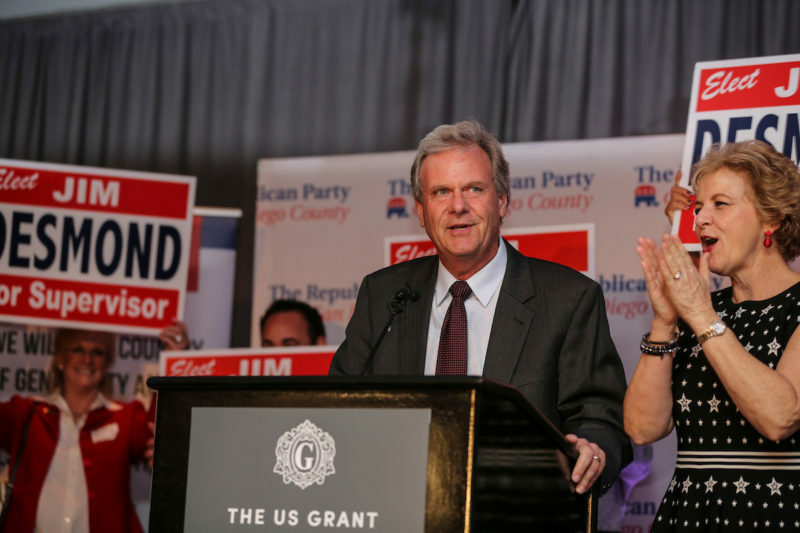 Faulconer has said he’d like to see a special election and has been eyeing an April 2019 vote. 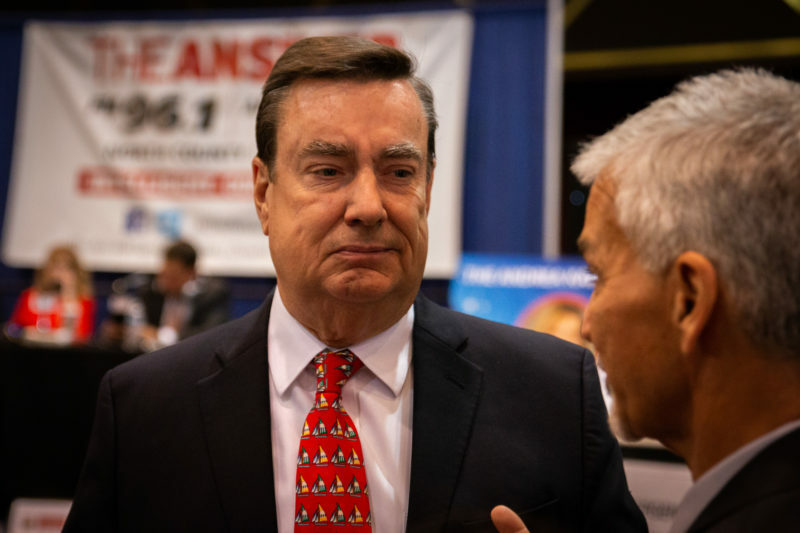 Faucett expects the mayor’s team and business and labor leaders behind the citizens’ initiative will make a decision in the next couple weeks. 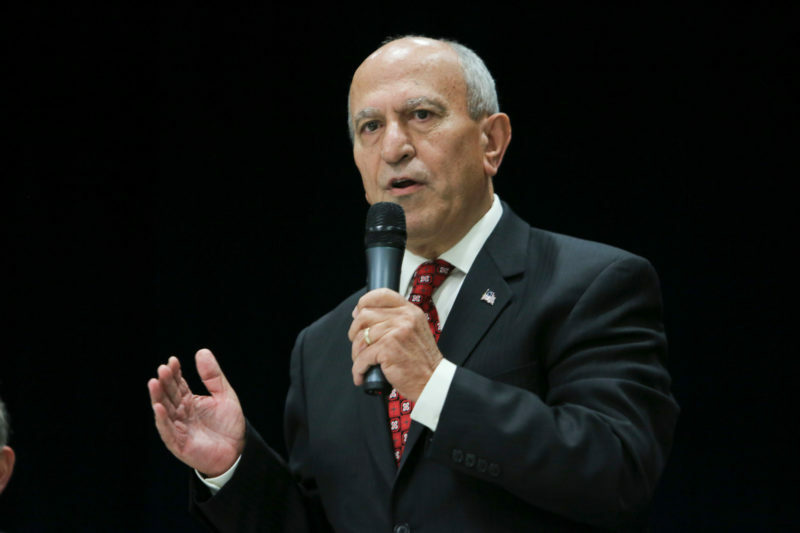 For months, the mayor and his allies have said a special election could offer a shot to pass the tax hike with a simple majority thanks to a 2017 court ruling that suggested citizens’ initiatives don’t need a two-thirds vote to pass. A legal challenge in San Francisco or a future ballot measure could close that loophole. Now the coalition also faces another complication. 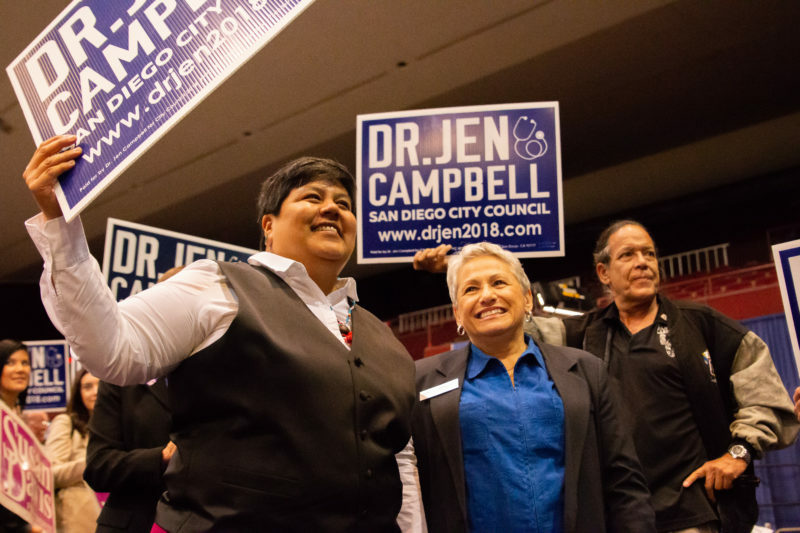 City Council newcomers Jen Campbell, Monica Montgomery and Vivian Moreno could have a different take on a Convention Center expansion – or a special election – than sitting Council members. They’ll take office on Dec. 10. Now the coalition and the mayor will not only need to decide when to move forward on the initiative itself but when to proceed with a City Council vote if they choose to push for a 2019 special election. Faucett and Yes for a Better San Diego coalition say they will have to carefully navigate next steps in coming weeks. The coalition wrote in a Friday statement that it’s weighing the best path to victory and thus the new funding for the Convention Center expansion, homelessness and street fixes. “We will continue to pursue the path with the greatest likelihood of success in addressing these critical issues,” the coalition said. Faucett reports the mayor, in fact, is not a lame duck. This prompted a discussion in the office about what a lame duck is. There’s the literal interpretation, which is that it’s a politician whose successor has already been chosen. But we’ve decided that it’s a subjective determination that a politician is close enough to leaving office — and has become so irrelevant — people begin making decisions without regard to him or her or overtly in anticipation of what it will be like when they leave. Often, an elected leader remains relevant well up until the point that their successor is elected. But other times, well, they don’t. We don’t take positions on people’s duck rating at Voice of San Diego, whether lame or able-bodied. 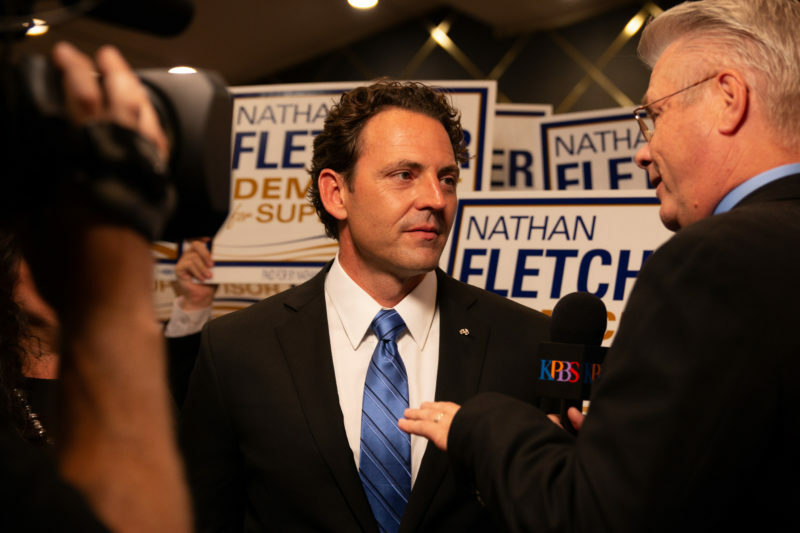 Correction: We incorrectly asserted that Nathan Fletcher was the first Democrat elected to the County Board of Supervisors in years. 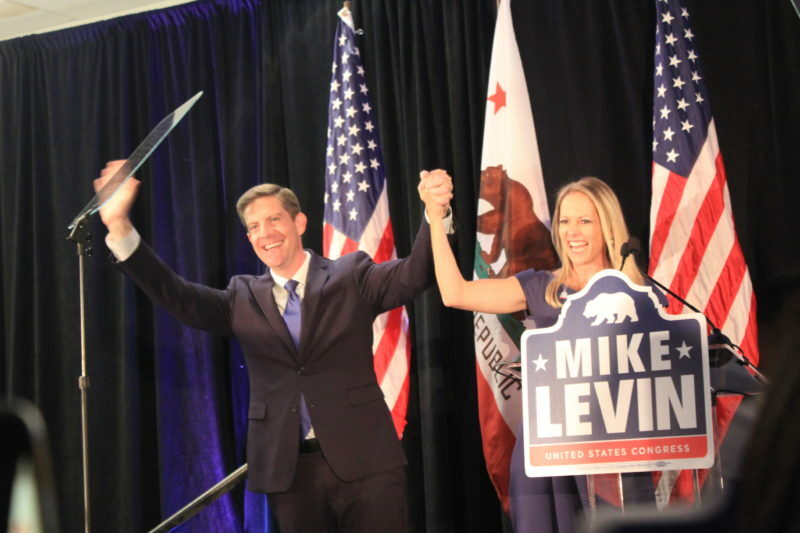 He was the first elected Democrat in District 4 in years. If you have any tips or feedback for the Politics Report, send them to scott.lewis@voiceofsandiego.org or andy.keatts@voiceofsandiego.org.